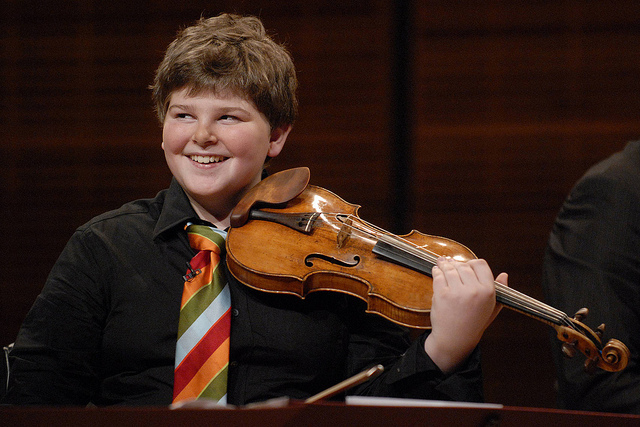 From the Top at Carnegie Hall on PBS, produced in 2007 and 2008, takes viewers behind the scenes with rising young musicians and captures the excitement of their Carnegie Hall debuts. Intimate backstage and hometown footage of these talented young performers reveals their passion for music, along with all the things that make them teenagers – from speed skating and soccer to fashion design and model trains. The series, based on From the Top’s popular NPR radio show, was hosted by Christopher O’Riley and featured a special guest appearance by renowned concert violinist Gil Shaham. From the Top at Carnegie Hall was a production of WGBH Boston, From the Top, and Don Mischer Productions in partnership with Carnegie Hall. The venerable production team of Emmy Award-winning director Gary Halvorson and Don Mischer Productions represented an unprecedented collaboration for public television, and a rare one for the entertainment world at large. From the Top at Carnegie Hall received two Daytime Emmy Awards. The series may still be seen on PBS stations nationwide, and can be viewed online at www.pbs.org.